Join the University City Historical Society for an exciting tour of the Woodlands Cemetery on Saturday April 27th. 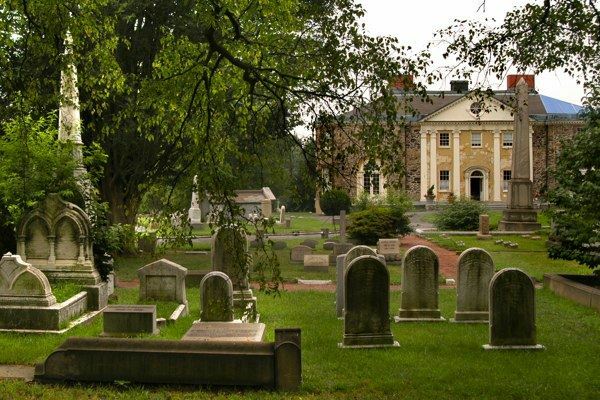 In addition to a fascinating history of the cemetery, participants will be treated to a tour of the first floor of the historic Hamilton Mansion. We will also learn about the history of nearby Woodland Terrace. Please note: The Go West Craft Fair will be occurring the same day at the Woodlands. Registrants are welcome to linger after our tour. Cash sales will also be accepted the day of the tour. Total attendance is limited to 25 persons. In the event of heavy rain, this tour will take place on Sunday, April 28th. University City Historical Society is a 501(c)3 non-profit organization.